This was my Easter outfit, not your typical color scheme for Easter but I just was not in much of a floral or pastel mood that morning. So instead I choose to go the animal print route with my leopard shoes & zebra ring. 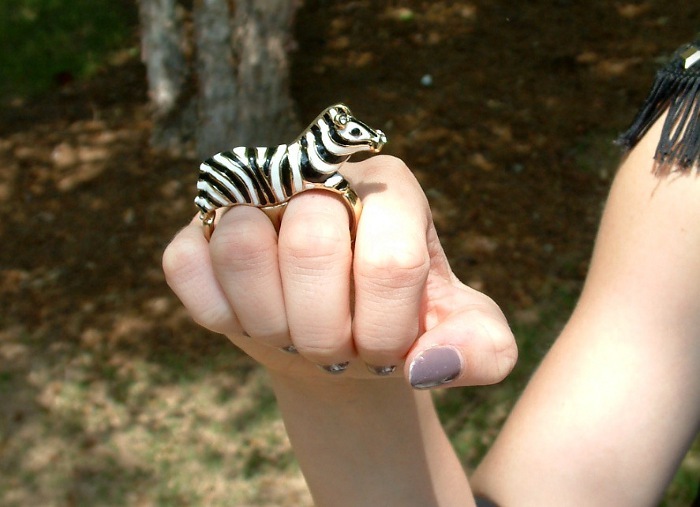 Who needs bunnies when you have a zebra ring that doubles as brass knuckles? Oh well, maybe next year I will go the typical Easter ensemble route... but probably not. I am not one to do the typical thing regarding my fashion. 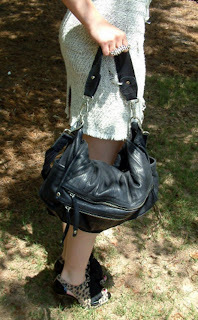 I love it, I never dress for a theme, but for whatever mood I am in.